If you have taken Christ as your Savior but not as Lord, you have deluded yourself ! We do not ask, Is Christ your “Savior,” but is He, really and truly, your Lord? If He be not your Lord, then most certainly He is not your “Savior.” Those who have not received Christ Jesus as their “Lord,” and yet suppose Him to be their “Savior,” are deluded, and their hope rests on a foundation of sand. Multitudes are deceived on this vital point, and therefore, if the reader values his or her soul, we implore you to give a most careful reading to this little tract. When we ask: “Is Christ your LORD?”, we do not inquire, Do you believe in the Godhood of Jesus of Nazareth? The demons do that (Matt. 8:28, 29) and yet perish notwithstanding! You may be firmly convinced of the Deity of Christ, and yet be in your sins. You may speak of Him with the utmost reverence, accord Him His Divine titles in your prayers, and yet be unsaved. You may abominate those who traduce His person and deny His Divinity, and yet have no spiritual love for Him at all. When we ask, “Is Christ your LORD?” we mean, does He in very deed occupy the throne of your heart, does He actually rule over your life? “We have turned every one to his own way” (Isa. 53:6), describes the course which all follow by nature. Before conversion every soul lives to please self. Of old it was written, “every man did that which was right in his own eyes”, and why? “In those days there was no king in Israel” (Judges 21:25). Ah! that is the point we desire to make clear to the reader. Until Christ becomes your King (1 Tim. 1:17; Rev. 15:3), until you bow to his sceptre, until His will becomes the rule of your life, SELF dominates, and thus Christ is disowned. When the Holy Spirit begins His work of grace in a soul, He first convicts of sin. He shows me the real and awful nature of sin. He makes me realize that it is a species of insurrection, a defying of God’s authority, a setting of my will against His. He shows me that in going my “own way” (Isa. 53:6), in pleasing myself, I have been fighting against God. As my eyes are opened to see what a lifelong rebel I have been, how indifferent to God’s honor, how unconcerned about His will, I am filled with anguish and horror, and made to marvel that the thrice Holy One has not long since cast me into Hell. Reader, have you ever gone through this experience? If not, there is very grave reason to fear you are yet spiritually dead! Conversion, true conversion, saving conversion, is a turning from sin to God in Christ. It is a throwing down the weapons of my warfare against Him, a ceasing to despise or ignore His authority. New Testament conversion is described thus: “Ye turned to God from idols to serve (be in subjection to, obey) the living and true God” (1 Thess. 1:9). An “idol” is any object to which we give what is due alone unto God–the supreme place in our affections, the moulding influence of our hearts, the dominating power of our lives. Conversion is a right-about-face, the heart and will repudiating sin, self, and the world. Genuine conversion is always evidenced by “Lord. what wilt Thou have me to do?” (Acts 9:6). It is an unreserved surrendering of ourselves to His holy will. Have you yielded yourself to Him (Rom. 6:13)? There are many people who would like to be saved from Hell, but who do not want to be saved from self-will, from having their own way, from a life of (some form of) worldliness. But God will not save them on their terms. To be saved, we must submit to HIS terms. Listen to His terms. “Let the wicked forsake his way, and the unrighteous man his thoughts, and let him return unto the Lord, and He will have mercy upon him” (Isa. 55:7). Said Christ, “Whosoever he be of you that forsaketh not all that he hath, he cannot be My disciple” (Luke 14:33). Men must be turned “from darkness to light, and the power of Satan unto God” before they can “receive forgiveness of sins, and inheritance among them which are sanctified” (Acts 26:18). “As ye have therefore received Christ Jesus the Lord, walk ye in Him” (Col. 2:6). That is an exhortation to Christians, and its force is, Continue as you begin. But how had they “begun” By receiving “Christ Jesus the Lord”; by surrendering to Him, by subjecting themselves to His will, by ceasing to please themselves. His authority was now owned. His commands now became their rule of life, His love constrained them to a glad and unreserved obedience. They “gave their own selves to the Lord” (2 Cor. 8:5). Have you, my reader, done this? Have you? Do the details of your life evidence it? Can those with whom you come into contact see that you are no more living to please self (2 Cor. 5:15)? O my reader, make no mistake upon this point: a conversion which the Holy Spirit produces is a very radical thing. It is a miracle of grace. It is the enthroning of Christ in the life. And such conversions are rare indeed. Multitudes of people have just sufficient “religion” to make them miserable. They refuse to forsake every known sin–and there is no true peace for any soul until he does. They have never “received Christ Jesus the Lord” (Col. 2:6). Had they done so, “the joy of the Lord” would be their strength (Neh. 8:10). But the language of their hearts and lives (not their “lips”) is, “We will not have this Man to reign over us” (Luke 1.9:14). Is that your case? The great miracle of grace consists in changing a lawless rebel into a loving and loyal subject. It is a “renewing” of the heart, so that the favored subject of it has come to loathe what he loved, and the things he once found irksome are now winsome (2 Cor. 5:17). He delights “in the law of God after the inward man” (Rom. 7:22). He discovers that Christ’s “commandments are not grievous” (1 John 5:3), and that “in keeping of them there is great reward” (Psa. 19:11). Is this your experience? It would be if you received Christ Jesus THE LORD! But to receive Christ Jesus the Lord is altogether beyond unaided human power. That is the last thing which the unrenewed heart wants to do. There must be a supernatural change of heart before there is even the desire for Christ to occupy its throne. And that change, none but God can work (1 Cor. 12:3). Therefore, “Seek ye the Lord while He may be found” (Isa. 55:6). “Search” for Him “with all your heart” (Jer. 29:13). Reader, you may have been a professing Christian for years past and you may have been quite sincere in your profession. But if God has condescended to show you that you have never really and truly “received Christ Jesus the Lord”, if now in your own soul and conscience you realize that SELF has ruled you hitherto, will you not now get down on your knees and confess to God your self-will, your rebellion against Him, and beg Him to so work in you that, without further delay, you may be enabled to yield yourself completely to His will and become His subject, His servant, His loving slave, in deed and in truth? The Apostle had cited the faith of such illustrious characters as Enoch and Noah, Abraham and Moses; he had mentioned that of a believing company as they had passed through the Red Sea and had marched around Jericho; now he gives an instance of one who had been a notorious sinner, as though to shame us if our faith falls short of hers who had formerly been a harlot. Having shown that the patriarchs, who were so highly venerated by the Jews, were honored by God solely on account of their faith and its fruits, we next behold how an alien woman, belonging to an accursed race, was, because of her faith, adopted into the Old Testament Church. “It hence follows that those who are most exalted are of no account before God unless they have faith; and that, on the other hand, those who are hardly allowed a place among the profane and the reprobate, are by faith introduced into the company of angels” (John Calvin). Rahab was a Canaanite, and therefore by nature “an alien from the commonwealth of Israel” and “a stranger from the covenants of promise.” In her conversion and admission into the Old Testament Church, she was, in a peculiar manner, both a type and a pledge of the calling of the Gentiles and their reception into the Church of Christ in New Testament times. Thus did coming events cast their shadows before them. In such cases as Rahab and Ruth, God gave early intimations that His redemptive purpose was not confined to a single people, but that it would reach out unto individuals among all nations. Their incorporation among the Hebrews was a plain foreshadowment of the “wild olive tree” being grafted in and being made a partaker of “the root and fatness of the [good] olive tree” (Rom 11:17). The salvation of Rahab was a signal instance of the sovereignty of God. “She was not only a Gentile, but an Amoritess, of that race and seed which in general was devoted unto utter destruction. She was therefore an instance of God’s sovereignty in dispensing with His positive laws as it seemed good unto Him; for of His own mere pleasure He exempted her from the doom announced against all those of her original [tribe]” (John Owen). 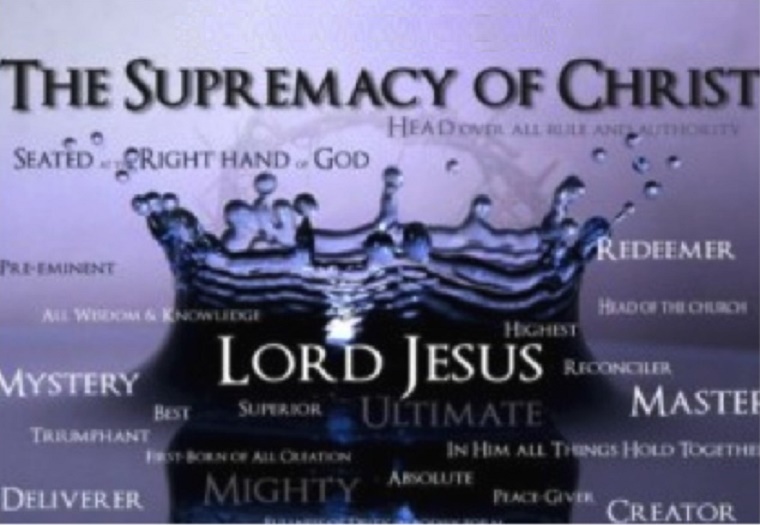 Being the supreme Potentate, God is not bound by any law or consideration other than His own imperial will; and therefore does He have mercy on whom He will have mercy, and whom He will He hardens (Rom 9:18). Most blessedly do we also behold here the amazing grace of God. Not only did Rahab belong to a heathen race, but she was an abandoned profligate, a “harlot.” In singling her out to be the recipient of His saving favors, God indeed made it evident that He is no respecter of persons. By her own choice she was given up to the vilest of sins, but by the divine choice she was predestinated to be delivered from that lust which is the most effective in detaining persons under its power—washing her whiter than snow by the precious blood of Christ and giving her a place in His own family. It is in just such cases that the unmerited favor of God shines forth the more illustriously. There was nothing whatever in this poor fallen women to commend her unto the favor of God, but “where sin abounded grace did much more abound” (Rom 5:20). Not only may we behold in Rahab’s case the exercise of divine sovereignty and the manifestation of divine grace, but we may also pause and admire the wondrous working of God’s power. This is best perceived as we take into careful consideration the almost unparalleled element that enters into her case. Here the Holy Spirit wrought entirely apart from the ordinary means of grace. There were no Sabbaths observed in Jericho; there were no Scriptures available for reading; there were no prophets sounding forth messages from heaven. Nevertheless, Rahab was quickened into newness of life and brought into a saving knowledge of the true God. Let it be duly noted that this woman, who had previously wallowed in open sin, was regenerated and converted before the spies came to her house. Their visit simply afforded an opportunity for the avowal and public manifestation of her faith. Let us also contemplate the marvelous workings of divine providence on this occasion. As the two spies, sent forth by Joshua to reconnoiter Jericho, drew near to that heathen stronghold, they had no idea that one of God’s elect sojourned there; and had they been aware of the fact, they had no means of knowing how to locate her in a city of such size. Admire and adore, then, the secret hand of God that directed them to the very house in which His child abode. “The Lord knows them that are his” (2 Timothy 2:19), and in the cloudy and dark day He searches them out. The same God who sent Ananias to the street called “Straight” to deliver Saul from blindness, guided the two spies unto the house of Rahab to deliver her from death. In like manner, wherever there is one or more of His elect amid the darkness of heathendom, He sends His Word or His servants to enlighten and edify the same. But it is with the faith of Rahab we must be chiefly engaged on this occasion. It will be observed that she is mentioned in Hebrews 11 after the destruction of Jericho, though “she received the spies in peace” before that city was destroyed. The reason for this is because her preservation—which was the fruit of her faith—was after the hosts of Israel had encompassed that city seven days. In seeking to ponder what is recorded in Scripture concerning the faith of Rahab, we propose to look separately at the ground, the effect, the nature, the confession, the breadth, the imperfection, and the reward of the same. “The people shall hear, and be afraid: sorrow shall take hold on the inhabitants of Palestine. Then the dukes of Edom shall be amazed; the mighty men of Moab, trembling shall take hold upon them; all the inhabitants of Canaan shall melt away. Fear and dread shall fall upon them; by the greatness of thine arm they shall be as still as a stone; till thy people pass over, O LORD, till the people pass over, which thou hast purchased” (Exodus 15:14-16). “I know that the LORD hath given you the land, and that your terror is fallen upon us, and that all the inhabitants of the land faint because of you. For we have heard how the LORD dried up the water of the Red Sea for you, when ye came out of Egypt; and what ye did unto the two kings of the Amorites, that were on the other side Jordan, Sihon and Og, whom ye utterly destroyed. And as soon as we had heard these things, our hearts did melt, neither did there remain any more courage in any man, because of you: for the LORD your God, he is God in heaven above, and in earth beneath” (Joshua 2:9-11). This it is which explains the reference in Hebrews 11:31 unto the other inhabitants of Jericho, who perished because they “believed not.” The knowledge that they had of God and His wondrous works, through the reports that had reached their ears, rendered them without excuse. What has just been before us affords an example of a most solemn fact that is oft-repeated: how souls are affected by the truth, and how quickly the impressions made wear off. The inhabitants of Jericho were deeply stirred by the reports of God’s judgments upon the wicked; they feared it was their turn next, and their hearts melted within them. How, then, are we to explain the fact that they did not all of them immediately and earnestly cry unto God for mercy? We believe the answer is found in Ecclesiastes 8:11, “Because sentence against an evil work is not executed speedily, therefore the heart of the sons of men is fully set in them to do evil.” As the hosts of Israel encompassed Jericho each day and then returned quietly to their camp, space for repentance was granted its inhabitants; but when six days had passed, and the walls of the city remained as strong as ever, they felt quite secure and hardened their hearts. How, then, are we to account for the difference in Rahab? In this way: with them it was simply the stirrings of conscience and the workings of their natural fears, which soon subsided; but in her case the power of the Holy Spirit had wrought within her—God had “opened her heart,” and consequently she “attended unto the things which were spoken” (Act 16:14). In other words, Rahab had been sovereignly quickened into newness of life, by which she was capacitated unto a saving knowledge of God Himself and the receiving His Word with meekness. Thus it was with the Thessalonian saints, whom the Apostle reminded, “For our gospel came not unto you in word only, but also in power, and in the Holy Ghost” (1 Thessalonians 1:5). It is only in such cases that a radical and lasting effect is produced. The faith of God’s elect is a living, energetic principle, which “works by love” (Gal 5:6) and produces fruit to the glory of God. Herein it differs radically from that notional and inoperative faith of frothy professors, which goes no deeper than an intellectual assenting to certain doctrinal propositions, and ends in fair but empty words. That faith which is unaccompanied by an obedient walk and abounds not in good works, is “dead, being alone” (James 2:17). Different far was the faith of Rahab. Of her we read, “Likewise also was not Rahab the harlot justified by works, when she had received the messengers, and had sent them out another way?” (James 2:25). This does not mean that her good works were the meritorious ground of her acceptance with God, but that they were the evidence before men that a spiritual principle had been communicated to her, the fruits of which justified or vindicated her profession, demonstrating that she was a member of “the household of faith” (Gal 6:10). In “receiving the spies with peace,” she made it manifest that she had a heart for the people of God, and was ready to do all in her power to help them. That clause of our text which we are now considering summarizes all that is recorded of her kindly conduct unto those two men in Joshua 2. She welcomed them into her home, engaged them in spiritual conversation, made provision for their safety, hid them from danger, and refused to betray them. We believe there is a latent reference to her kindness (as well as to Abraham’s) in Hebrews 13:1-3, for the word translated “messengers” in James 2:25 is the same as is rendered “angels” in Hebrews 13:2: “Let brotherly love continue. Be not forgetful to entertain strangers: for thereby some have entertained angels unawares.” Alas, that so many professing Christians today, instead of heeding this exhortation, are almost ready to rend each other to pieces over every difference of opinion. “The city of Jericho was about to be attacked; within its walls there were hosts of people of all classes and characters, and they knew right well that if their city would be set upon and stormed they would all be put to death. But yet, strange to say, there was not one of them who repented of sin, or who even asked for mercy, except this woman who had been a harlot. She and she alone was delivered, a solitary one amongst a multitude. Now, have you ever felt that it is a very hard thing to have a singular faith? It is the easiest thing in the world to believe as everybody else believes, but the difficulty is to believe a thing alone, when no one else thinks as you think—to be the solitary champion of a righteous cause when the enemy musters his thousands to the battle. Now this was the faith of Rahab. She had not one who felt as she did, who could enter into her feelings and realize the value of her faith. She stood alone. O it is a noble thing to be the lonely follower of despised truth. “Rahab’s faith was a sanctifying one. 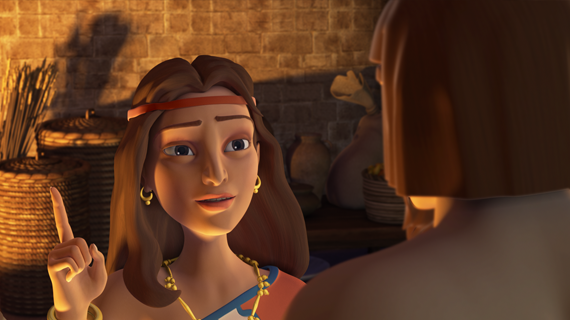 Did Rahab continue a harlot after she had faith? No, she did not. I do not believe she was a harlot at the time the men went to her house, though the name still stuck to her, as such ill names will; but I am sure she was not afterwards, for Salmon, the prince of Judah, married her…You cannot have faith and yet live in sin. To believe is to be holy. The two things go together. That faith is a dead faith, a corrupt faith, a rotten faith, which lives in sin [so] that grace may abound (Romans 6:1-2). Rahab was a sanctified woman. O that God might sanctify some that are here” (Charles H. Spurgeon). [Hers was] a self-denying faith. This is seen in her preferring the will of God before the safety of her country, and sheltering these men who were strangers before the pleasing of her fellow-citizens. But it appeared most conspicuously in the venturing of her own life rather than to betray the messengers of Joshua, who were worshipers of the true God. Her action was fraught with the most dangerous consequences to her; but her fidelity to God made her scorn the threats of her citizens, the promiscuous events of war, and the burning of her city. Thus, by faith she, in effect, renounced all for God. When He calls us to do so, we must part with all that we hold near and dear in this world. Spiritual faith is best evidenced by acts of self-denying obedience (condensed from Thomas Manton). This is recorded in Joshua 2:9-11, which shows it was made at the first opening she had. It was quite a comprehensive one: she owned the wondrous works of the Lord, was assured He had given Canaan unto His people, and acknowledged Him as the God of heaven and earth. Thereby she renounced all the idols of the heathen, glorified God with her lips, and illustrated the rule we have in Romans 10:10, “For with the heart man believeth unto righteousness; and with the mouth confession is made unto salvation.” Moreover, by placing the scarlet cord in her window, she, as it were, publicly displayed her colors and made it known under whose banner she had enlisted. How her conduct puts to shame those who, after a long profession of the truth, are ready to tremble at the first approach of danger, and deem it prudence to keep at a safe distance from those who are exposed to persecution. “It is the nature of true, real, saving faith, immediately or at its first opportunity, to declare and protest itself in confession before men, for confession is absolutely inseparable from faith. Where men, on some light and convictions, do suppose themselves to have faith, yet through fear or shame do not come up to the ways of expressing it in confession [as] prescribed in the Scripture, their religion is in vain. And therefore our Lord Jesus Christ, in the gospel, doth constantly lay the same weight on confession as on believing itself (Mat 10:33; Luke 9:26). And the fearful, that is, those who fly from public confession in times of danger and persecution, shall be no less assuredly excluded from the heavenly Jerusalem, than unbelievers themselves (Rev 21:8)” (John Owen). Very blessed is it to note her further word to the spies: “Now therefore, I pray you, swear unto me by the LORD, since I have showed you kindness, that ye will also show kindness unto my father’s house, and give me a true token: and that ye will save alive my father, and my mother, and my brethren, and my sisters, and all that they have, and deliver our lives from death” (Jos 2:12-13). Some contracted hearts, in which the very milk of human kindness seems to have congealed, would deem Rahab’s request highly presumptuous. Personally, we believe that her soul was so overflowing with gratitude unto the Lord for His saving such an abandoned wretch, that her faith now perceived something of the infinitude of the divine mercy, and believed that such a God would be willing to show grace unto the whole of her family. Nor was she disappointed. O that the breadth of Rahab’s faith may speak unto our hearts! O that the blessed Holy Spirit may fill us with compassion for our unsaved relatives and friends, and stir us up to wrestle with God in prayer on their behalf. It is right that we should desire God to show mercy unto those who are near and dear to us; not to do so would show we were lacking in natural affection. It only becomes wrong when we ignore God’s sovereignty, and dictate instead of supplicate. It is blessed to observe that He Who hath said, “according unto your faith be it unto you” and “all things are possible unto him that believeth” (Mat 9:29; Mar 9:23), responded to Rahab’s faith and saved her entire household; though they, of course, only found deliverance by sheltering in the same house with her in which hung the scarlet cord—only under the blood [of Christ] is there safety. This appears in the reply that she returned to the king of Jericho (recorded in Joshua 2:3-5), when he sent unto Rahab requesting her to deliver up the two spies. Fearful of their lives, she told lies, pretending she knew not whence the men had come, and affirming they were no longer in her house. Such a procedure on her part can by no means be justified, for her answer was contrary unto the known truth. The course she followed resembled the direction that Rebekah gave to her son Jacob: in the general her intent was the fruit of great faith, for it had respect unto the promise of God (Gen 25:33), but in various details (Gen 27:6-7, etc.) it can in no wise be approved. The Lord, in His tender mercy, is pleased to pass by many of the infirmities of His children, when He sees an upright heart and a desire to accomplish His promises. “If thou, LORD, should mark iniquities, O Lord, who shall stand?” (Psalm 130:3). God bears with much weakness, especially in the lambs of His flock. “I observe there was a mixture of infirmity in this act, an officious lie, which cannot be excused, though God in mercy pardoned it. This is not for our imitation, yet it is for our instruction; and it shows us this: that faith in the beginning hath many weaknesses. Those that have faith do not altogether act out of faith, but there is somewhat of the flesh mingled with that of the spirit. But this is passed by out of God’s indulgence; He accepts us notwithstanding our sins before faith, and notwithstanding our weaknesses in believing. Before faith she was a harlot; in believing she makes a lie. God doth reward the good of our actions and pardons the evil of them, not to encourage us in the sinning, but to raise our love to Him Who forgives us so great a debt, receives us graciously, and pardons our manifold weaknesses” (Thomas Manton). “Whatsoever things are true, whatsoever things are honest, whatsoever things are just, whatsoever things are pure, whatsoever things are lovely, whatsoever things are of good report; if there be any virtue, and if there be any praise, think on these things” (Phi 4:8). But not only was Rahab and the whole of her family preserved from the burning of Jericho, which immediately followed, but as Joshua 6:25 tells us, she “dwelt in Israel.” Thus, from being the slave of Satan she was adopted into the family of God; from being a citizen of heathen Jericho she was given a place in the congregation of the Lord. Nor was that all; later, she became the honored wife of a prince in Judah, the mother of Boaz, and one of the grandmothers of David! Her name is inscribed upon the imperishable scroll of sacred history; it is recorded in Matthew 1 among the ancestresses of the Savior—she was one of the mothers of Jesus! From what depths of sin and shame did sovereign grace deliver this poor woman; to what a height of honor and dignity did sovereign grace elevate her. Truly, the rewards of faith are most excellent and glorious. when you heard what I spoke against this place . . . This was part of the message which God sent in response to an inquiry made by the godly king Josiah. It occurred at a time when the earthly people of God had sunken very low—so low that “the Book of the Law” had been lost, and was only then recovered (v. 8). The sacred Book was read in the hearing of the king, and so deeply was he affected by its solemn message, “he tore his clothes” (v. 11). As he learned of the greatness of Jehovah’s wrath, which was kindled against his subjects, Josiah sent messengers to inquire of the Lord. The answer was that sore judgment would certainly fall upon Jerusalem—but that the king would be removed from this world before the storm of Divine wrath should burst. That the above is recorded for our instruction scarcely needs to be pointed out, and deeply important and valuable are the lessons illustrated thereby. It tells us that the One with whom we have to do takes cognizance of the state of our hearts. It reveals to us the fact that God’s dealings with us in Providence are regulated—in part, at least—by the state of our hearts. It announces to us that a tender heart is of great price in the sight of the Lord. It makes evident that the tenderness of Josiah’s heart was the reason why Divine judgment did not fall upon his kingdom in his own lifetime. It presents to us the startling and blessed spectacle of a man with a tender heart at a time when spirituality was at its lowest ebb in Israel. It makes clear to us what are the marks or characteristics of a tender heart. What delight it gives unto the Lord. Why certainly, for it is the product of His own handiwork. By nature the heart of fallen man is very far from being “tender” Godwards, for that is what was denoted in the case of Josiah. No, sad to say, it is the very opposite: so far as the Lord is concerned, the heart of every descendant of Adam is hard, callous, stubborn and defiant. Before it can become tender, a miracle of grace needs to be wrought upon it. It is to this the words of the Prophet refer: “I will put a new spirit within them; and I will take the stony heart out of their flesh, and will give them a heart of flesh” (Ezek. 11:19). Whatever be the future application of these words to the nation of Israel, the substance of them is most assuredly made good every time a soul is truly born again. A “tender heart,” then, stands in direct antithesis from a hard one. It is the opposite of a heart of stone, which is cold, lifeless, not responsive. It is a spiritual, a supernatural thing: we stress this because some confuse with it the workings of natural conscience. There are not a few who mistake the fluctuations of natural conscience for a heart made tender in the fear of the Lord, and in this age of superficiality this is scarcely to be wondered at. There are plenty of unregenerate people who have consciences that are—in certain directions—very alert and active. Witness the deluded Roman Catholics who would not dream of eating any meat during “lent,” yet these very people have no compunction in worshiping idols of wood and stone. Truly such religionists “strain at a gnat and swallow a camel.” Such is man the world over—until and unless sovereign grace is pleased to bestow upon him a tender heart. Natural conscience is intensely superstitious. It is most punctilious over self-inflicted austerities, and most watchful against violating self-imposed rules—yet it will commit sins which one who has the fear of God in his heart would not be willingly guilty of, for gold or rubies. On the other hand, the very same conscience will stumble over the smallest trifles, regarding which, one who is enlightened by God and regulated by His Word would not feel the least scruple about. Natural conscience will “pay tithes of mint, anise, and cummin,” while it “omits the weightier matters of the Law” (Matt. 23:23). It will refuse to enter Pilate’s judgment hall, “lest it should be defiled” (John 18:28), and that, at the very time when its possessors were venting their hatred against Christ. Thus the distinction between the superstitious workings of conscience in the natural man—and the activities of a “tender heart” in the child of God is clear-cut, and there is no excuse for confusing the one with the other. A heart which has been made tender in the fear of God is one which moves as the Holy Spirit works upon it. It moves toward the One whom the Spirit is here to glorify, for the Divine will is its orbit. “It is like the mariner’s compass, which having been once touched by the magnet, always turns toward the North. It may indeed oscillate and tremble backwards and forwards—but still it will return to the pole, and ultimately remain fixed at the point whence it was temporarily disturbed. So when the heart has been touched by the Spirit, and has been made tender in God’s fear, it may for a time waver to the right hand or to the left—but it is always trembling and fluctuating until it points toward God, as the eternal center of its happiness and holiness” (The Gospel Pulpit, 1843). Let us now be a little more specific. A “tender heart” is not only one of Divine production and is the opposite of a hard and unregenerate heart—but it is a sensitive one—just as a tender plant is exceedingly sensitive to chilly winds and biting frosts. A heart that is tender in the fear of God, shrinks from all sin and makes conscience of the same. So long as it retains its tenderness, it firmly refuses to trifle with that which the wicked make a sport of. It shuns the very appearance of evil, and hates the garment spotted by the flesh. Its earnest and constant prayer is, “Lead me not unto temptation—but deliver me from evil.” Because it is so sensitive, it “trembles at the Word of God” (Isaiah 66:2), for His holy awe is upon that soul. Consequently, it deems the contents of that Word far too sacred to be made the subject of carnal jangling and argument. A tender heart is one which has a deep concern for the glory of God and the welfare of His kingdom. Superlatively was this exemplified by the Lord Jesus Christ: who so thoroughly absorbed with the honor of His Father and the furtherance of His cause on earth, His own interests and aggrandizement were completely swallowed up in magnifying the One who had sent Him. And the same principle is found in each of His followers, though with vastly different degrees of manifestation. The tender heart is one in which the love of God is shed abroad, and just so far as that is allowed to dominate and regulate do we seek to please Him. Consequently, a tender heart is one which is deeply grieved, touched to the quick, by everything which dishonors his best Friend—whether it be seen in others or discovered in himself. What more tender than the eye—and what so sensitive to a foreign substance! A “tender heart” is pliant. The heart of the unregenerate is likened unto “the nether millstone” (Job 41:24). But that which is wrought upon by the Holy Spirit resembles wax—receptive to His impressions upon it. The stony heart is impervious to pleadings and threatenings alike—but the tender heart is amenable and responsive to the Divine call. Man in his natural state says with Pharaoh, “Who is the Lord, that I should obey His voice?” (Exo. 5:2). But one which has been supernaturally quickened asks, “Lord, what will You have me to do?” (Acts 9:6). The more tender the plant, the more readily it lends itself to being trained or twined around an upright stake. So it is with the child of God. In his “first love” he freely yields himself unto God as one that is alive from the dead, and his members as instruments of righteousness unto God” (Romans 6:13). This tenderness and pliability of heart, is evidenced by its possessor humbling himself before God—as was clearly the case with Josiah (2 Kings 22:19). A tender heart is conscientious. It makes its possessor diligent in the performance of duty. If an employer, he will not oppress and be a hard taskmaster—but be just, and considerate, knowing that he also has a Master in Heaven. If an employee, he will not shirk his work—but will do it with all his might whatever his hand finds to do, with good will, “as to the Lord” (Eph. 6:7). It makes its possessor careful in heeding the Divine exhortations and warnings. He lays to heart such a word as, “Catch the foxes, the little foxes, which spoil the vines” (Song. 2:15). How tender we are of our eye—no matter how tiny the particle of grit which enters and irritates—we quickly and diligently seek to extract it. Equally zealous is a tender heart to remove whatever endangers spiritual fruitfulness. It makes its possessor considerate of the rights and needs of his fellows. He will not take advantage of kindness nor disregard the welfare of those about him. He will deny himself rather than callously ignore the comfort of his neighbors. When he sees one in dire distress he will not pass by on the other side—but go and endeavor to relieve him. A heart which is tender Godwards is never hard and cruel man-wards. “Because your heart was tender” (2 Kings 22:19). We now offer a few remarks upon how a tender heart may be preserved. This is a matter of great importance, for though such a most desirable possession be obtained as a sovereign gift from God—yet it can only be retained by much diligence on our part. This should scarcely need any arguing—yet hyper-Calvinists are likely to demur, supposing that an insistence upon Christian responsibility is the same thing as crying up creature ability. But does not the natural shadow forth the spiritual here, too? Is it not a fact with which we are all familiar that the more “tender” any object or creature be, the more care and cultivation it requires? “Keep your heart with all diligence” (Proverbs 4:23). This must put an end to all quibbling on the part of objectors: where God speaks there must be an end of all strife. And diligence, great and constant diligence, is required on our part if a tender heart is to be preserved. How? In what directions? First, by guarding against everything which is hostile to it. To be more specific: it is sin which hardens the heart. In exact proportion as sin obtains dominion over us, do we steal ourselves against God. And it is just here that our accountability comes in: “Awake to righteousness, and sin not” (1 Corinthians 15:34). Thought we cannot impart a tender heart, we can certainly impair one. “Harden not your hearts” was the Lord’s call to His people of old, and to us also today; and if we are to comply therewith, we must fear, hate, and resist sin! Sin is insidious. Scripture speaks of “the deceitfulness of sin” (Hebrews 3:13). If we are not on our guard, it will steal upon us unawares; unless we are wide awake and alert to the danger, sin will overcome us like the fumes of a deadly gas. That is why the Lord bids us “Watch and pray, that you enter not into temptation” (Matthew 26:41). Yes, watch as well as pray, and pray as well as watch. We all know what happened to Peter because he failed so to do, and his case is recorded as a solemn warning for us. “Enter not into the path of the wicked, and go not in the way of evil men. Avoid it, pass not by it, turn from it, and pass away” (Proverbs 4:14, 15). Notice carefully how the same prohibition is iterated and re-iterated again and again in these verses. It is the first approach of sin—which we most need to resist. It is by making conscience of its earliest stirrings within, that a tender heart is preserved. Every Christian will readily allow that sin is insidious—but it is one thing to recognize this in theory and quite another to be regulated by it in practice. All will agree that one of the most effective means of victory over sin is to steadfastly refuse its first advances; yet the fact remains that few do so. It is at this very point we must take our stand, if a tender heart is to be retained. But how? By guarding against carnality. Things indifferent become a snare if they are not kept within due bounds. That which is lawful is not always expedient. An immoderate use of the world, will bind chains upon us, which are not easily snapped. Inordinate affection for those nearest to us, will sap true spirituality. Beware, then, of setting your love too much upon mere things or creatures. Alas that this is now so rarely insisted upon. “The fear of the Lord is to hate evil” (Proverbs 8:13). Necessarily so, for God is ineffably holy, and where He is revered, sin is loathed. “By the fear of the Lord, men depart from evil” (Proverbs 16:6), for two cannot walk together except they are agreed. The more concerned I am not to displease my Master—the more shall I shun that which He forbids. “Be in the fear of the Lord all the day long” (Proverbs 23:17), for “Happy is the man who fears always” (Proverbs 28:14). We must strive to be in the fear of God not only in the first hour of devotion—but throughout the day. The more we live in the conscious realization that the eyes of the Holy One are upon us—the more will our hearts be kept truly tender. What a desirable thing is a tender heart. How earnestly we should aspire after one. And when such has been graciously bestowed upon us, what diligence we should exercise in seeking to preserve the same. The tenderness of Josiah’s heart was precious in the sight of the Lord, and in consequence thereof, his prayers were answered, as the remainder of our opening text declares. There is nothing like a tender heart, my reader, for obtaining the ear of the Lord. A tender heart is one which is responsive to the voice of God, and unless we possess this, how can we expect Him to hear our calls? A tender heart is the only one which truly honors God, as it is the only one which ensures our growth in grace. How deeply important, then, is the question, ‘Have you, have I, really a tender heart?’ May we be enabled to answer truthfully. In the last two issues, we pointed out some of the principal characteristics of a tender heart, and also sought to indicate those duties which must be performed if we are to retain this valuable possession. But it is probable that many of our readers would prefer for us to tell them how a tender heart may be recovered. They are already persuaded of the great excellence of this spiritual treasure, and they also perceive clearly what is necessary in order to retain it. What grieves them is that they are conscious of guilty failure in safeguarding this Divine gift. They are sensible that the fine gold has become dim, that little foxes have spoiled their vines, that their conscience is no longer so sensitive as it once was, that they do not respond so readily to the motions of God’s Spirit; that much hardness now resides in their hearts. It is sadly true that a tender heart may be lost: not absolutely so—but relatively; not permanently—but temporarily. But sadder still is the fact that many who have suffered this deprivation are unconscious of it. It is with them as it was with Ephraim of old: “Strangers have devoured his strength—and he knows it not! Yes, gray hairs are here and there upon him—yet he knows not!” (Hosea 7:9). They may still attend the means of grace and perform their outward devotions—but their hearts are not in them. They may still be respected by their fellow-Christians and regarded as in a healthy spiritual state—while in reality they arebacksliders. Sights from which they once shrank—appall them no longer. Things which used to exercise their conscience—do so no more. The standard at which they formerly aimed—is now regarded as too strict and severe. Said the Apostle to the Galatians, “You did run well, who (or “what”) has hindered you?” (5:7). What are the things which destroy tenderness of heart? Ungodly companions is one. Satan will tell the young Christian that he or she may keep old friends and suffer no loss—but God says, “Be not deceived: evil communications corrupt good manners” (1 Corinthians 15:33). Friendship with worldlings will soon have a paralyzing influence upon true spirituality. Prayerlessness is another thing which speedily affects the heart. Unless a close fellowship with God be maintained—and that is impossible if the Throne of Grace is neglected—coldness and hardness will soon steal upon us. Equally so will a neglect of the Word. This will not necessarily mean the omission of reading so many chapters each day—but the absence of actually communing with God therein. The spirit of hypocrisy, pretending to be what we are not, hardens the heart—for insincerity and tenderness are incompatible. Yes, a tender heart may be lost—as truly as first love may be left (Revelation 2:4). Can it be regained? Yes, though not as easily as it may be hardened. How? First, by warming afresh at the fire of God’s love. This is ever the most effectual means of removing hardness of heart. What was it, which melted and broke you down at your first conversion? Was it not a sense of the Divine grace, and a sight of Christ’s dying love? And nothing else is so calculated to soften the backslider. It is “the goodness of God” which leads to repentance (Romans 2:4). What was before David when he commenced his contrite confession? This: the Lord’s “loving-kindness” and the “multitude of His tender mercies” (Psalm 51:1). When was it that Peter went out and wept bitterly? Was it not, when the Savior “turned and looked upon him” (Luke 22:61)? Was it not the sorrow which Peter saw in that look—a sorrow which issued from love for him—which broke his heart?! The Lord had given him every proof that he was dear unto Him, and how had Peter requited that love? And has not the Lord given you, my brother, my sister, abundant evidence that you are precious in His sight? Did He deem any sacrifice too great to make atonement for your sins? Has He not favored you above millions of your fellows—in bringing you to a saving knowledge of the Truth? Has He not bestowed the Holy Spirit upon you? Has He not borne with your dullness—with infinite patience? Can you dwell upon these things with an unmoved heart? Surely not! Seek unto Him, then, and your coldness and hardness will indeed be thawed. As it is the allowance of sin which hardens the heart, so it is sorrow for sin which softens it. Hence, when the Lord admonishes the one who has left his first love, His word is, “Remember therefore from whence you are fallen, and repent, and do the first works” (Revelation 2:5). First, “Remember therefore from whence you are fallen,” which looks back to the previous verse. Call to mind the happy fellowship you once enjoyed with the eternal Lover of your soul, when He found delight in you, and your own heart was satisfied. Consider “from whence you are fallen”—no longer leaning on His bosom—but having entered a course which both displeases and dishonors Him. Unless this produces godly sorrow in you, nothing else will, and it is godly sorrow which “works repentance” (2 Corinthians 7:10). Take a leaf out of the copybook of the prodigal son: arise, forsake the far country, return to your Father, and pour out your griefs into His welcoming ear. Third, by the exercise of FAITH. “And do the first works” (Revelation 2:5). What was the first work you did, when you originally came to God in Christ—as an empty-handed and contrite sinner? Was it not to cast yourself upon His mercy, to lay hold of His promises, to trust in the sufficiency of Christ’s atoning blood? Well, the same remedy is available now. Did not David cry, “Create in me a clean heart, O God; and renew a right spirit within me” (Psalm 51:10)?—deal with me now as You did at the first! And was he not able to say, “He restores my soul” (Psalm 23:3)? Precious promises are recorded in the Word, which exactly suit your case: “Return, O backsliding children, and I will heal your backslidings” (Jer. 3:22). “I will heal their backsliding, I will love them freely” (Hosea 14:4). Make these promises your own, plead them before God, and count upon Him making them good in your own case. In conclusion, a word or two on some of the EVIDENCES of a tender heart. We mention one or two of these so that writer and reader may test himself by them. Is your heart affected by the present state of Christendom? Are you made to sigh and cry, “for all the abominations that be done in the midst thereof” (Ezek. 9:4)? Is your experience, in some measure at least, that “Horror has taken hold upon me because of the wicked that forsake Your Law” (Psalm 119:53)? “My eye shall weep sore and run down with tears, because the Lord’s flock is carried away captive.” (Jer. 13:17) Is that how you feel? Again, “I was not disobedient unto the heavenly vision” (Acts 26:19): do you respond to the motions of God’s Spirit? Finally, do you mourn over your own hardness of heart, and grieve over your callousness? These are some of the manifestations of a tender heart. In the beginning of the chapter we find him saying: “Even today is my complaint bitter: my stroke is heavier than my groaning” (verses 1 & 2). Poor Job felt that his lot was unbearable. But he recovers himself. He checks his hasty outburst and revises his impetuous decision. How often we all have to correct ourselves! Only One has ever walked this earth who never had occasion to do so. Job here comforts himself. He could not fathom the mysteries of Providence but God knew the way he took. Job had diligently sought the calming presence of God, but, for a time, in vain. Behold I go forward, but he is not there; and backward, but I cannot perceive him. On the left hand, where he does work, but I cannot behold him” (verses 8 & 9). But he consoled himself with this blessed fact—though I cannot see God, what is a thousand times better, He can see me—”He knows.” One above is neither unmindful nor indifferent to our lot. If He notices the fall of a sparrow, if He counts the hairs of our heads, of course “He knows” the way that I take. Job here enunciates a noble view of life. How splendidly optimistic he was! He did not allow his afflictions to turn him into a skeptic. He did not permit the sore trials and troubles through which he was passing to overwhelm him. He looked at the bright side of the dark cloud—God’s side, hidden from sense and reason. He took a long view of life. He looked beyond the immediate ‘fiery trials” and said that the outcome would be gold refined. “But he knows the way that I take: when he has tried me I shall come forth as gold.” Three great truths are expressed here: let us briefly consider each separately. 1. The Divine Knowledge of My Life. “He knows the way that I take.” The omniscience of God is one of the wondrous attributes of Deity. “For his eyes are upon the ways of man, and he sees all his goings” (Job 34:21). “The eyes of the Lord are in every place, beholding the evil and the good (Proverbs 15:3). Spurgeon said, “One of the greatest tests of experimental religion is, What is my relationship to God’s omniscience?” What is your relationship to it, dear reader? How does it affect you? Does it distress or comfort you? Do you shrink from the thought of God knowing all about your way? perhaps, a lying, selfish, hypocritical way! To the sinner this is a terrible thought. He denies it, or if not, he seeks to forget it. But to the Christian, here is real comfort. How cheering to remember that my Father knows all about my trials, my difficulties, my sorrows, my efforts to glorify Him. Precious truth for those in Christ; harrowing thought for all out of Christ—that the way I am taking is fully known to and observed by God. “He knows the way that I take.” Men did not know the way that Job took. He was grievously misunderstood, and for one with a sensitive temperament to be misunderstood, is a sore trial. His very friends thought he was a hypocrite. They believed he was a great sinner and being punished by God. Job knew that he was an unworthy saint, but not a hypocrite. He appealed against their censorious verdict. “He knows the way that I take: when he has tried me I shall come forth as gold.” Here is instruction for us when like circumstanced. Fellow-believer, your fellow-men, yes, and your fellow-Christians, may misunderstand you, and misinterpret God’s dealings with you: but console yourself with the blessed fact that the omniscient One knows. “He knows the way that I take.” In the fullest sense of the word Job himself did not know the way that he took, nor do any of us. Life is profoundly mysterious, and the passing of the years offer no solution. Nor does philosophizing help us. Human volition is a strange enigma. Consciousness bears witness that we are more than machines. The power of choice is exercised by us in every move we make. And yet it is plain that our freedom is not absolute. There are forces brought to bear upon us, both good and evil, which are beyond our power to resist. Both heredity and environment exercise powerful influences upon us. Our surroundings and circumstances are factors which cannot be ignored. And what of providence, which shapes our destinies? Ah, how little do we know the way which we “take.” Said the prophet, “I know, O Lord, that a man’s life is not his own; it is not for man to direct his steps” (Jer. 10:23). Here we enter the realm of mystery, and it is idle to deny it. Better far to acknowledge with the wise man, “Man’s goings are of the Lord; how can a man then understand his own way?” (Proverbs 20:24). In the narrower sense of the term Job did know the way which he took. What that “way” was he tells us in the next two verses. “My feet have closely followed His steps; I have kept to His way without turning aside. I have not departed from the commands of his lips; I have treasured the words of his mouth more than my daily bread” (Job 23:11, 12). The way Job chose was the best way, the scriptural way, God’s way—”His way.” What do you think of that way, dear reader? Was it not a grand selection? Ah, not only “patient,” but wise Job! Have you made a similar choice? Can you say, “My feet have closely followed His steps; I have kept to His way without turning aside”? (verse 11). If you can, praise Him for His enabling grace. If you cannot, confess with shame your failure to appropriate His all-sufficient grace. Get down on your knees at once, and unbosom yourself to God. Hide and keep back nothing. Remember it is written “If we confess our sins, he is faithful and just to forgive us our sins, and to cleanse us from all unrighteousness” (I John 1:9). Does not verse 12 explain your failure, my failure, dear reader? Is it not because we have not trembled before God’s commandments, and because we have so lightly esteemed His Word, that we have “declined” from His way! Then let us, even now, and daily, seek grace from on high to heed His commandments and hide His Word in our hearts. “He knows the way that I take.” Which way are you taking?—the Narrow Way which leads unto life, or ‘the Broad Road that leads to destruction? Make certain on this point, dear friend. Scripture declares, “So every one of us shall give account of himself to God” (Romans 14:12). But you need not be deceived or uncertain. The Lord declared, “I am The Way” (John 14:6). “When he has tried me.” “The refining pot is for silver, and the furnace for gold: but the Lord tries the hearts” (Proverbs 17:3). This was God’s way with Israel of old, and it is His way with Christians now. Just before Israel entered Canaan, as Moses reviewed their history since leaving Egypt, he said, “And you shall remember all the way which the Lord your God led you these forty years in the wilderness, to humble you, and to prove you, and to know what as in your heart, whether you would keep his commandments, or not” (Deut. 8:2). In the same way God tries, tests, proves, humbles us. “When he has tried me.” If we realized this more, we should bear up better in the hour of affliction and be more patient under suffering. The daily irritations of life, the things which annoy so much—what is their meaning? why are they permitted? Here is the answer: God is “trying” you! That is the explanation (in part, at least) of that disappointment, that crushing of your earthly hopes, that great loss—God was, is, testing you. God is trying your temper, your courage, your faith, your patience, your love, your fidelity. “When he has tried me.” How frequently God’s saints see only Satan as the cause of their troubles. They regard the great enemy as responsible for much of their sufferings. But there is no comfort for the heart in this. We do not deny that the Devil does bring about much that harasses us. But above Satan is the Lord Almighty! The Devil cannot touch a hair of our heads without God’s permission, and when he is allowed to disturb and distract us, even then it is only God using him to “try” us. Let us learn then, to look beyond all secondary causes and instruments to that One who works all things after the counsel of His own will (Eph. 1:11). This is what Job did. In the opening chapter of the book which bears his name, we find Satan obtaining permission to afflict God’s servant. He used the Sabeans to destroy Job ‘s herds (verse 15): he sent the Chaldeans to slay his servants (verse 17): he caused a great wind to kill his children (verse 19). And what was Job’s response? This: he exclaimed “The Lord gave, and the Lord has taken away; blessed be the name of the Lord” (1:21). Job looked beyond the human agents, beyond Satan who employed them, to the Lord who controls all. He realized that it was the Lord, who was trying him. We get the same thing in the New Testament. 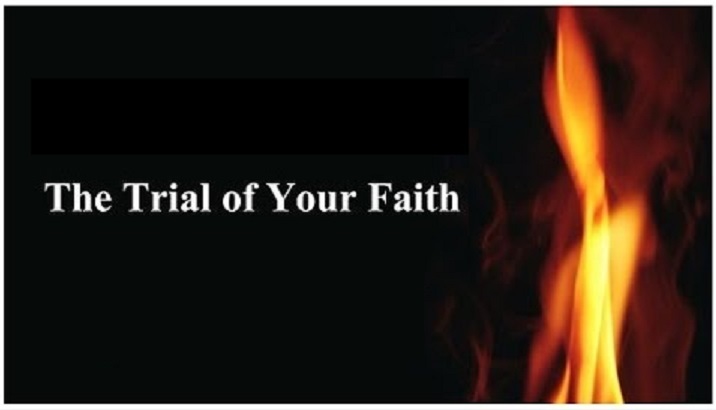 To the suffering saints at Smyrna John wrote, “Fear none of those things which you shall suffer; behold, the devil shall cast some of you into prison, that you may be tried” (Rev. 2:10). Their being cast into prison was simply God trying them. How much we lose by forgetting this! What a stay for the trouble-tossed heart to know that no matter what form the testing may take, no matter what the agent which annoys, it is God who is “trying” His children. What a perfect example the Savior sets us. When He was approached in the garden and Peter drew his sword and cut off the ear of Malchus, the Savior said, “The cup which My Father has given Me, shall I not drink it?” (John 18:11). Men were about to vent their awful rage upon Him, the Serpent would bruise His heel—but He looks above and beyond them. Dear reader, no matter how bitter its contents, (infinitely less than that which the Savior drained) let us accept the cup as from the Father’s hand. In some moods we are apt to question the wisdom and right of God to try us. So often we murmur at His dispensations. Why should God lay such an intolerable burden upon me? Why should others be spared their loved ones, and mine taken? Why should health and strength, perhaps the gift of sight, be denied me? The first answer to all such questions is, “who are you, O man, to talk back to God?” It is wicked insubordination for any creature to call into question the dealings of the great Creator. “Shall the thing formed say to him that formed it—Why have You made me thus?” (Romans 9:20). How earnestly each of us need to cry unto God, that His grace may silence our rebellious lips and still the tempest within our desperately wicked hearts! But to the humble soul which bows in submission before the sovereign dispensations of the all-wise God, Scripture affords some light on the problem. This light may not satisfy reason, but it will bring comfort and strength when received in child-like faith and simplicity. In 1 Peter 1:6 we read; “In this (God’s salvation) you greatly rejoice, though now for a little while you may have had to suffer grief in all kinds of trials. These have come so that your faith–of greater worth than gold, which perishes even though refined by fire–may be proved genuine and may result in praise, glory and honor when Jesus Christ is revealed.” Note three things here. First, there is a needs-be for the trial of faith. Since God says it, let us accept it. Second, this trying of faith is precious, far more so than of gold. It is precious to God (cf. Psalm 116:15) and will yet be so to us. Third, the present trial has in view the future. Where the trial has been meekly endured and bravely borne, there will be a grand reward at the appearing of our Redeemer. Again, in 1 Pet. 4:12, 13 we are told: “Beloved, do not be surprised at the painful trial you are suffering, as though something strange were happening to you. But rejoice that you participate in the sufferings of Christ, so that you may be overjoyed when his glory is revealed.” The same thoughts are expressed here as in the previous passage. There is a needs-be for our “trials” and therefore we are not to be surprised at them—we should expect them. And, too, there is again the blessed outlook of being richly recompensed at Christ’s return. Then there is the added word that not only should we meet these trials with faith’s fortitude, but we should rejoice in them, inasmuch as we are permitted to have fellowship in “the sufferings of Christ.” He, too, suffered: sufficient then, for the disciple to be as his Master. “When he has tried me.” Dear Christian reader, there are no exceptions. God had only one Son without sin, but never one without sorrow. Sooner or later, in one form or another, trial—sore and heavy-will be our lot. “We sent Timothy, who is our brother and God’s fellow worker in spreading the gospel of Christ, to strengthen and encourage you in your faith, so that no one would be unsettled by these trials. You know quite well that we were destined for them.” (1 Thess. 3:2, 3). And again it is written, “We must through much tribulation enter into the kingdom of God” (Acts 14:22). It has been so in every age. Abram was “tried,” tried severely. So, too, were Joseph, Jacob. Moses, David, Daniel, the Apostles, etc. “I shall come forth as gold.” Observe the tense here. Job did not imagine that he was pure gold already. “I shall come forth as gold,” he declared. He knew full well that there was yet much dross in him. He did not boast that he was already perfect. Far from it. In the final chapter of his book we find him saying, “I abhor myself” (42:6). And well he might—and well may we! As we discover that in our flesh there dwells “no good thing,” as we examine ourselves and our ways in the light of God’s Word and behold our innumerable failures, as we think of our countless sins, both of omission and commission, good reason have we for abhorring ourselves. Ah, Christian reader, there is much dross about us. But it will not ever be thus. “I shall come forth as gold.” Job did not say, “When he has tried me I may come forth as gold,” or “I hope to come forth as gold,” but with full confidence and positive assurance he declared, “I shall come forth as gold.” But how did he know this? How can we be sure of the happy outcome? Because the Divine purpose cannot fail. He who has begun a good work in us “will finish it” (Phil. 1:6). How can we be sure of the happy issue? Because the Divine promise is sure: “The Lord will perfect that which concerns me” (Psalm 138:8). Then be of good cheer, tried and troubled one. The process may be unpleasant and painful, but the outcome is charming and sure. “I shall come forth as gold.” This was said by one who knew affliction and sorrow as few among the sons of men have known them. Yet despite his fiery trials he was optimistic. Let then this triumphant language be ours. “I shall come forth as gold” is not the language of carnal boasting, but the confidence of one whose mind was stayed upon God. There will be no credit to our account—the glory will all belong to the Divine Refiner. James 1:12. First, Love is the Divine thermometer while we are in the crucible of testing—“And he shall sit (the patience of Divine grace) as a Refiner and Purifier of silver,” etc. (Mal. 3:3). Praise God for such a glorious prospect, such a victorious outcome, such a marvelous end! This passage is one of the most solemn in the Hebrews’ Epistle, yea, to be met with anywhere in the New Testament. …To prepare the way for our exposition of these verses, the contents of which have so sorely puzzled many, let us recall once more the condition of soul into which these Hebrew Christians had fallen. They had “become dull of hearing” (5:11), “unskillful in the word of righteousness” (5:13), unable to feed upon “strong meat” (5:14). This state was fraught with the most dangerous consequences. “The Hebrews had become lukewarm, negligent, and sluggish. The Gospel, once clearly seen and dearly loved by them, had become to them dull and vague; the persecutions and contempt of their countrymen a grievous burden, under which they groaned and under which they did not enjoy fellowship with the Lord Jesus. Darkness, doubt, gloom, indecision, and consequently a walk in which the power of Christ’s love was not manifest, characterized them. Now, if they continued in this state, what else could be the result but apostasy? Forgetfulness, if continued, must end in rejection, apathy in antipathy, unfaithfulness in infidelity. Three things claim our careful attention in coming closer to our passage: The persons here spoken of, the sin they commit, the doom pronounced upon them. In considering the persons spoken of, it is of first importance to note that the Apostle does not say, “us who were once enlightened,” nor even “you”; instead, he says “those.” In sharp contrast from them, he says to the Hebrews, “Beloved, we are persuaded better things of you”…It is scarcely accurate to designate as “mere professors” those described in verses 4-5. They were a class who had enjoyed great privileges, beyond any such as now accompany the preaching of the Gospel. Those here portrayed are said to have had five advantages, which is in contrast [to] the six things enumerated in verses 1-2, which things belong to man in the flesh under Judaism…Yet were they not true Christians. This is evident from what is not said. Observe: they were not spoken of as God’s elect, as those for whom Christ died, as those who were born of the Spirit. They are not said to be justified, forgiven, and accepted in the Beloved. Nor is anything said of their faith, love, or obedience. Yet these are the very things that distinguish a real child of God. First, they had been “enlightened.” The Sun of righteousness had shone with healing in His wings, and as Matthew 4:16 says, “The people which sat in darkness saw great light; and to them which sat in the region and shadow of death light is sprung up.” Unlike the heathen, whom Christ in the days of His flesh visited not, those who came under the sound of His voice were wondrously and gloriously illumined. The Greek word for “enlightened” here signifies “to give light or knowledge by teaching.” It is so rendered by the Septuagint in Judges 13:8; 2 Kings 12:2; 17:27. The Apostle Paul uses it for “to make manifest” or “bring to light” in 1 Corinthians 4:5; 2 Timothy 1:10. Satan blinds the minds of those who believe not, lest “the light of the gospel should shine unto them” (2 Corinthians 4:4), that is, give the knowledge of it. Thus, “enlightened” here means to be instructed in the doctrine of the Gospel, so as to have a clear apprehension of it. In the parallel passage in 10:26, the same people are said to have “received the knowledge of the truth” (cf. also 2 Peter 2:20-21). It is, however, only a natural knowledge of spiritual things, such as is acquired by outward hearing or reading, just as one may be enlightened by taking up the special study of one of the sciences. It falls far short of that spiritual enlightenment which transforms (2 Corinthians 3:18). An illustration of an unregenerate person being “enlightened,” as here, is found in the case of Balaam (Numbers 24:4). Second, they had “tasted of the heavenly gift.” To “taste” is to have a personal experience of, in contrast from mere report. “Tasting does not include eating, much less digesting and turning into nourishment what is so tasted; for its nature being only thereby discerned, it may be refused, yea, though we like its relish and savor on some other consideration. The persons here described then are those who have to a certain degree understood and relished the revelation of mercy. Like the stony-ground hearers, they have received the Word with a short-lasting joy.” The “tasting” is in contrast from the “eating” of John 6:50–56. Opinion is divided as to whether the “heavenly gift” refers to the Lord Jesus or the person of the Holy Spirit. Perhaps it is not possible for us to be dogmatic on the point. Really, the difference is without a distinction; for the Spirit is here to glorify Christ, as He came from the Father by Christ as His ascension “Gift” to His people. If the reference be to the Lord Jesus, John 3:16, 4:10, etc., would be pertinent references; if to the Holy Spirit, Acts 2:38, 8:20, 10:45, 11:17. Personally, we rather incline to the latter. This Divine Gift is here said to be “heavenly” because it is from Heaven and leading to Heaven in contrast [with] Judaism (cf. Act 2:2; 1 Peter 1:12). Of this “Gift,” these apostates had “tasted” or had an experience of. Compare Matthew 27:34 where “tasting” is opposed to actual drinking. Those here in view had an acquaintance with the Gospel, as to gain such a measure of its blessedness as to greatly aggravate their sin and doom. An illustration of this is found in Matthew 13:20-21. Fifth, “And the powers of the world to come” or “age to come.” The reference here is to the new dispensation that was to be ushered in by Israel’s Messiah according to O. T. predictions. It corresponds with “these last days” of Hebrews 1:2 and is in contrast [with] the “time past” or Mosaic economy. Their Messiah was none other than the “mighty God” (Isa 9:6), and wondrous and glorious, stupendous and unique were His miraculous works. These “powers” of the new Age are mentioned in Hebrews 2:4…Of these mighty “powers” these apostates had “tasted” or had an experience of. They had been personal witnesses of the miracles of Christ and of the wonders that followed His ascension, when such glorious manifestations of the Spirit were given. Thus, they were “without excuse.” Convincing and conclusive evidence had been set before them, but there had been no answering faith in their hearts. A solemn example of this is found in John 11:47-48. 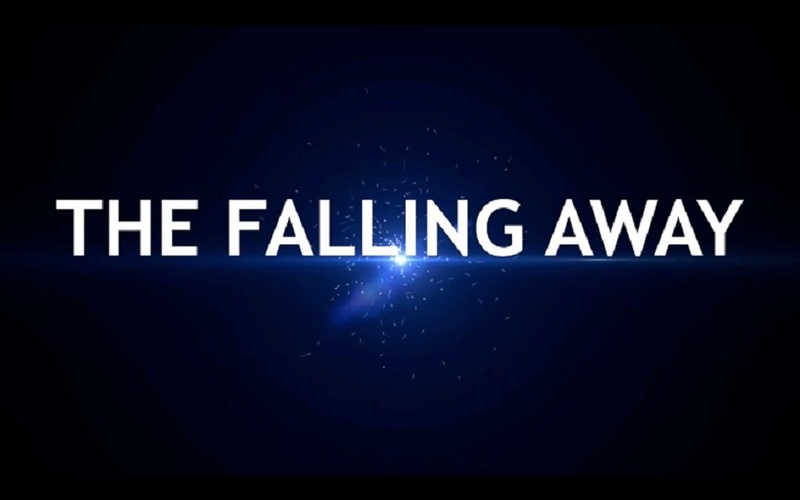 “If they shall fall away.” The Greek word here is very strong and emphatic, even stronger than the one used in Matthew 7:27, where it is said of the house built on the sand, “and great was the fall thereof.” It is a complete falling away, a total abandonment of Christianity that is here in view. It is a willful turning of the back on God’s revealed truth, an utter repudiation of the Gospel. It is making “shipwreck of the faith” (1 Timothy 1:19). This terrible sin is not committed by a mere nominal professor, for he has nothing really to fall away from, save an empty name. The class here described are such as having had their minds enlightened, their consciences stirred, their affections moved to a considerable degree, and yet who were never brought from death unto life. Nor is it backsliding Christians who are in view. It is not simply “fall into sin,” this or that sin. The greatest “sin” that a regenerated man can possibly commit is the personal denial of Christ: Peter was guilty of this, yet was he “renewed again unto repentance.” It is the total renunciation of all the distinguishing truths and principles of Christianity, and this not secretly, but openly, which constitutes apostasy. “Seeing they crucify to themselves the Son of God afresh.” This is brought in to show the aggravation of their awful crime and the impossibility of their being renewed again unto repentance. By renouncing their Christian profession, they declared Christ to be an Imposter. Thus, they were irreclaimable. To attempt any further reasoning with them would only be casting pearls before swine. With this verse should be carefully compared the parallel passage in 10:26-29. These apostates had “received the knowledge of the truth,” though not a saving knowledge of it. Afterward they sinned “willfully”: there was a deliberate and open disavowal of the truth. The nature of their particular sin is termed a “treading underfoot the Son of God (something which no real Christian ever does) and counting (esteeming) the blood of the covenant an unholy thing,” that is, looking upon the One Who hung on the Cross as a common criminal. For such, there “remaineth no more sacrifice for sins.” Their case is hopeless as far as man is concerned; and the writer believes, such are abandoned by God also. Taking the passage as a whole, it needs to be remembered that all who had professed to receive the Gospel were not born of God: the Parable of the Sower shows that. Intelligence might be informed, conscience searched, natural affections stirred, and yet there be “no root” in them. All is not gold that glitters.